Online Community Colleges can be a good option for you if you are looking for quality education that can be earned in less than two years. Most community colleges offer a full range of associate programs, certificates and short courses online. program at 4-year universities. Most universities award students with credits for their diploma or associate degrees. Community colleges invite applications from the general public, whether one is a high school student, freshly graduated high school students or individuals seeking credentials in adult education. They offer programs in all fields of study from Art to Culinary Arts to Trade. 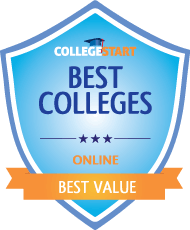 Herkimer College impressive score ranks No.1 for best value community colleges that offers online degree programs. There are over 23 degree programs, which can be taken online. The online programs include an Associate of Applied Science in Accounting, a Teaching Assistant Certificate, an Associate of Arts in Social Sciences, and a Medical Coding – Transcription Certificate. Together, the online programs cover such fields as Business Administration, Marketing, Small Business Management, General Studies, Criminal Justice, Humanities, Crime and Intelligence Analysis, Travel and Events, and Health Services Manage ment Technology. Support services are also available online and they include advisement, transfer counseling, registration, tutoring and book ordering. Herkimer County Community College is accredited by the Commission on Higher Education of the Middle States Association of Colleges and Schools. Moreover, it was ranked in the top 100 Community Colleges in the United States for Student Success by CNNMoney. Foothill College is a leading community college with online learning opportunities. It has a number of degree and certificate programs that students can enroll for. With an Associate degree, one may transfer to an established university to complete their Bachelor’s degree. Some of the degree programs taught at the college include Accounting, General Studies, Anthropology, Sociology, Music Technology and Psychology. The certificate programs are offered in three classifications. These are: Certificate of Achievement, Career Certificate and Certificate of Proficiency. Under the Certificate of Achievement lie Accounting, Graphic & Interactive Design and CPA Examination Preparation. The Career Certificate features Tax Accounting, Web Design & Development, E-Commerce and Electronic Business and Online Veterinary Assisting. Students may acquire a Certificate of Proficiency in Songwriting, Medical Anthropology, Popular Culture and Payroll Preparation. Applicants should request for official transcripts from institutions attended. The institution is accredited by the Accrediting Commission for Community and Junior Colleges (ACCJC), Western Association of Schools and Colleges. De Anza College is one of the community colleges offering online studying opportunities to prospective students. It is accredited by the Accrediting Commission for Community and Junior Colleges (ACCJC), to award degrees in different courses. Some of the courses available include Business, Psychology, Accounting, Journalism, Health Technology, Child Development, Language Arts, Computers and Creative Arts. The courses meet transfer requirements as well as General Education requirements for public universities and colleges. The school creates a learning culture that will help students develop strong character, abilities and intellect. These are attributes that will enable them achieve their education, career and personal goals. Students learn critical thinking skills, expression skills and personal, social, environmental and cultural responsibility. They will also be able to demonstrate both mental and physical wellness. Individuals who wish to enroll into any of the courses are required to submit official transcripts alongside a completed application and take a placement test. The Central Louisiana Technical Community College offers a good number of applied and technical academic courses through an online platform. Students have the options to enroll for industry-based certificates, technical certificates, diplomas, college transfer degree programs and associate degrees. The courses are offered through a 16 week semester. Examples of programs available include General Education, Criminal Justice, Nursing Assistant, Practical Nursing, Carpentry, Industrial Manufacturing Technology, Computer Technology Specialist, Welding and Business Office Administration. The college applies innovative training strategies so as to meet the needs of a changing workforce. Students are molded into confident, knowledgeable and productive individuals who will bring change in their work environment. Applicants who wish to pursue a technical program will have to take a placement exam. They may submit scores of a placement test taken within the last 3 years. The college’s accreditation is by the Council on Occupational Education (COE). Dodge City Community College presents prospective students with a flexible online learning opportunity. The college is accredited by the Higher Learning Commission (HLC) and the Kansas Department of Education (KDE). It offers certificates and Associate degrees in Arts, Science, General Studies and Applied Science. Under Associate of Arts, Associate of General Science and Associate of Science degrees, students learn social studies, humanities, basic skills, natural and life skills then electives. The Associate of Applied Sciences has courses such as Computer Science, Graphic Design, Agriculture, Criminal Justice, Communications, Business Technology and Agribusiness. The courses are open to new students, transfer students, non-degree seeking students and students from private schools that are not accredited. Students seeking admission must complete an admission application and request for official transcripts from high schools or colleges attended. They should also request that their GED scores or ACT test scores are sent directly to Dodge City Community College. Lake Area Technical Institute gives individuals interested in learning the opportunity to study online for a degree or certificate program that meets their educational expectations. You may study for courses in Dental Assisting, Computer Information Systems, Agri-business, Commodity Merchandising, Ranch Management, Entrepreneurship and Practical Nursing. There’s also the Emergency Medical Technician which is a certificate program. It’s normally completed in one semester. With this certification, one may go on to pursue a Paramedic diploma or degree in health related fields. Applicants should submit completed applications together with a non-refundable fee of $25, high school transcripts and test scores of ACCUPLACER or ACT exams. Transfer students are advised to request for official transcripts from all institutions attended and must have maintained a minimum grade C. Veterans who wish to enroll should present documentation of their prior learning so as to get credit for their education. Lake Area Technical Institute is accredited by the Higher Learning Commission (HLC). Mitchell Technical Institute has a number of courses which can be studied online. The programs offered are Administrative Office Specialist, Medical Office Professional, Office Technology Specialist, Advanced Medical Imaging, Small Business Management, Speech-Language Pathology Assistant (TED) In the Administrative Office Specialist program, students are taught how to conduct research, perform clerical duties and prepare reports. The Medical Office Professional prepares students with knowledge in patient information technology. Advanced Medical Imaging gives you the opportunity to become a certified MRI and CT technologists. You may work in hospitals, Outpatient Imaging centers and physician’s offices. The Office Technology Specialist curriculum trains students to effectively take up office administration, clerical support, help desk and general office support positions. The Small Business Management is intended for business owners. They will gain foundational knowledge that will help boost their businesses. The institution is accredited by the Higher Learning Commission (HLC). The North Central Kansas Technical College is one of the community colleges giving prospective students opportunities to study online for certificate or degree programs that they like. By enrolling for any of the programs offered, you’ll have taken the first step to building your career. Individuals may enroll for General Education Course whose coursework includes advanced computer applications, physiology, college algebra and nutrition. Technical courses available include Introduction to the Oilfield which explores the oilfield sector and Blueprint Reading where students learn how to study working drawings and ways in which to interpret them. One may also enroll for Health Support Specialist, Pharmacy Technician and Commercial Driver’s License courses. The school’s aim is to prepare students with skills that meet the expectations of business leaders throughout the nation. North Central Kansas Technical College is accredited by the Higher Learning Commission (HLC) and also the Kansas Board of Regents (KBR). Alexandria Technical & Community College offers online academic programs in various departments. Students may choose curricula to pursue from the following: Business Administration, Liberal Arts & Sciences, Human Services Practitioner, Paralegal, Individualized Studies, Computer Information Systems, Law Enforcement Career Transition ( Diploma only), Speech-Language Pathology Assistant and Medical Administrative Assistant. These programs will earn you an Associate in Science or Associate in Arts degree. Online students will have access to quality education and support, just as their on-campus counterparts. The coursework is designed to your convenience so that you can study at a time that fits your lifestyle. It is taught by experienced faculty who also qualify – academically and industrially- to teach. Students will choose courses that they’d like to study for from a wide range of elective and core courses. The college is accredited by the North Central Association of Colleges and Schools Commission (NCACS) on Institutions of Higher Education. Enrollment into any of the programs offered is open to all. Northwest Iowa Community College is an established institution of higher learning that offers various degree programs online. Once you’ve successfully enrolled, you will receive all the support you need from the distance learning team, academic advisors and the library. You may study for an associate of arts in Accounting, Early Childhood Education, Criminal Justice, Paralegal, Education and Human Resource Management. Associate of Applied Sciences programs available are Health Information Technology, Powerline Technology and Accounting. Another available option is the Associate of Arts in Business. It offers two specialties: Financial / Insurance Services and Management. The education students receive at the school is a good foundation for academic advancement and career building. They also learn work ethics and how to be team players. NCC is accredited by the Iowa Department of Education (IDE) and the Higher Learning Commission (HLC). Illinois Eastern Community College makes it easier for prospective students to pursue their education dreams by offering degree and certificate programs online. Certificate programs offered are Medical Transcription, Paraprofessional Educator and Sales. The Associate in Applied Science degree options are Accounting & Computing and Medical Office Assistant. The Accounting and computing coursework prepares students with knowledge and skills that will help them do accounting jobs in businesses, governmental departments and industries. Graduates of the Medical Office Assistant program may work as medical receptionists, office assistants and transcriptionists. The degree programs take four semesters to complete. Students who wish to enroll into a transfer degree program may choose courses in General Studies, Science and Arts. They are advised to consult with their academic advisor so that they can choose elective courses that are transferable to the degree program at the college or university they wish to transfer to. The college is accredited by the Higher Learning Commission (HLC).